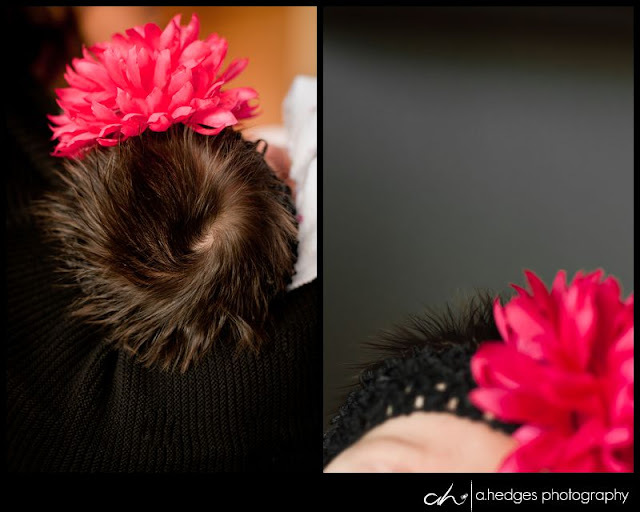 You will no doubt remember this family from their maternity session we did a few weeks ago!! HERE is the link to the full blog post if you're interested in revisiting that fantastic session!! A few weeks had passed and I had them on my brain so I sent a quick email to Nicole to see how she was doing in the last few days of her pregnancy. Coincidentally, she wrote me back the very next day and said she was in the hospital and just had the baby the night before!! 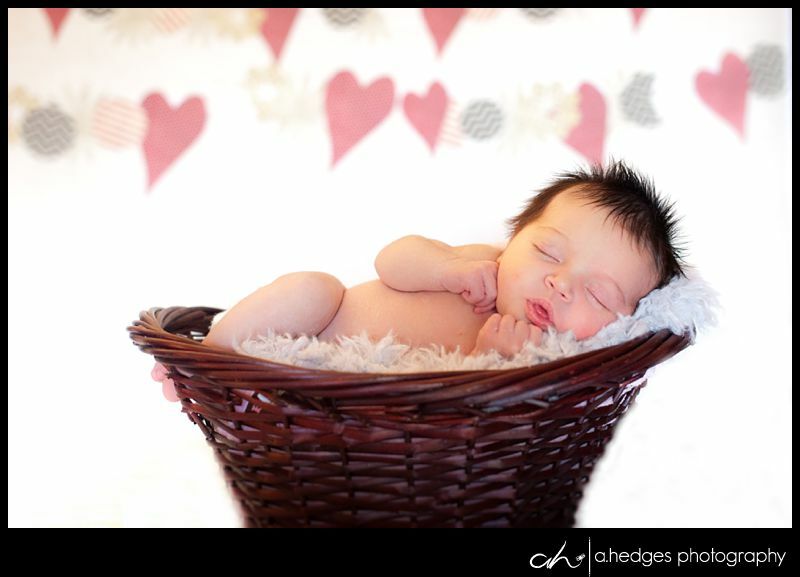 Newborn sessions are typically best scheduled within the first week of the baby's life- they're still all rolled up in a ball, very sleepy and just too too cute!!! The whole family showed up to my house a couple days later with both Grandma's in tow! 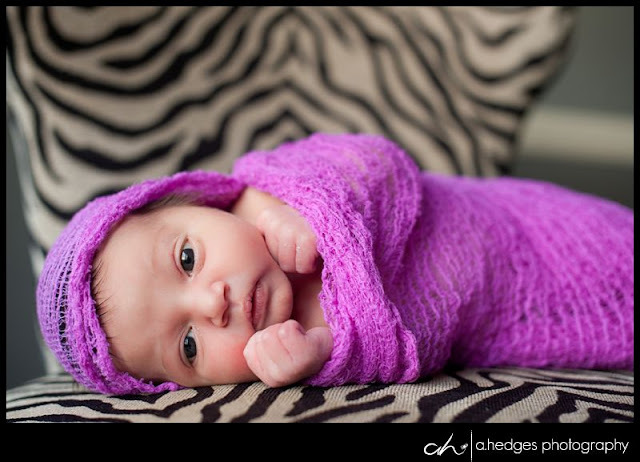 This baby is loved - that's all I have to say about that and she has everyone wrapped around her little finger already!! Of course we had to do some shots with the Grandmas- these are just precious beyond words! I honestly think this is my favorite image from the entire session! 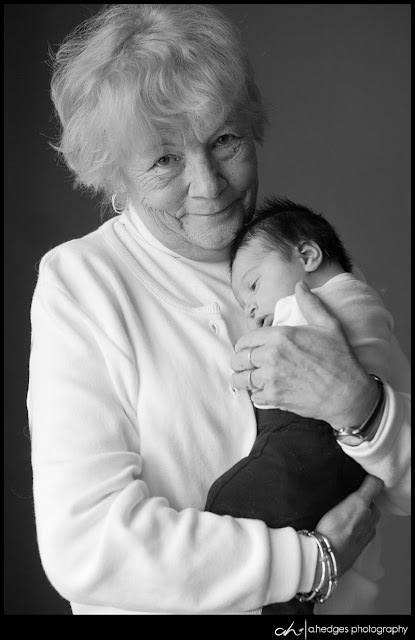 Grandma #2 had her time with baby- just as wonderful!! A few of baby by herself. 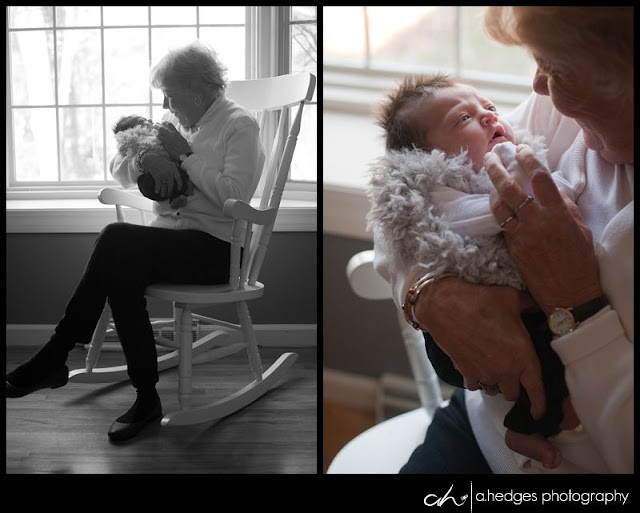 Mom is a big fan of animal print so I knew we had to use my famous chair in this session! Check out the hair on this little lady!! If you checked out the maternity session this next shot may feel a bit familiar! 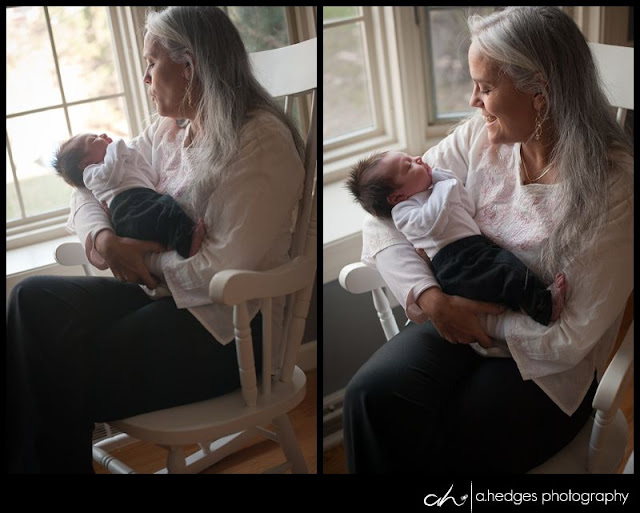 I love doing before and after photos for maternity and newborn sessions. I also love how Nicole's attitude seemed to shift - she was a super hot, rockin' pregnant lady but once she had that baby in her arms, she simply melted into a MOM!! 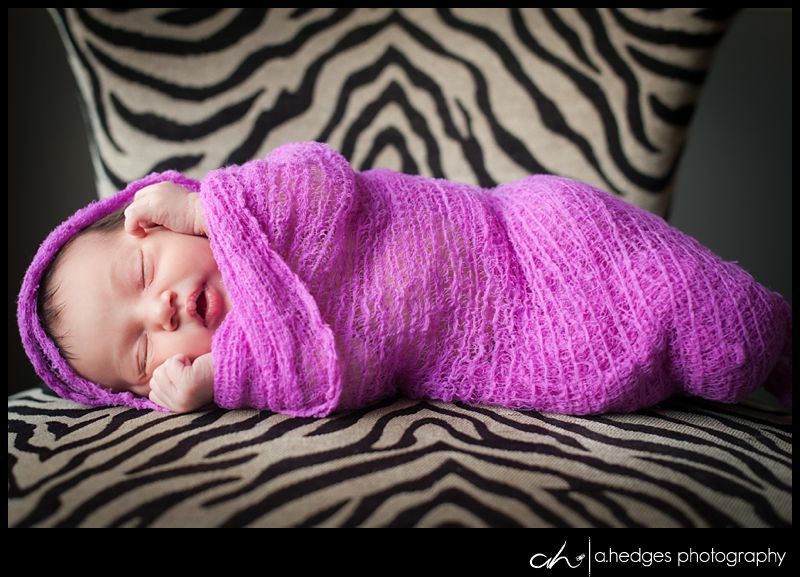 Congratulations to Nicole and Shawn on your beautiful new baby girl. She is perfect in every way. Best wishes for the future!